People sometimes ask me how to punish or discipline a dog or puppy. [wp_ad_camp_5]Yet many people nowadays use training techniques that do not involve punishing their Labradors, and some believe that no-one should be allowed to punish a dog. Punishment in dog training is actually on the decline. And not everyone agrees that this is a good thing. 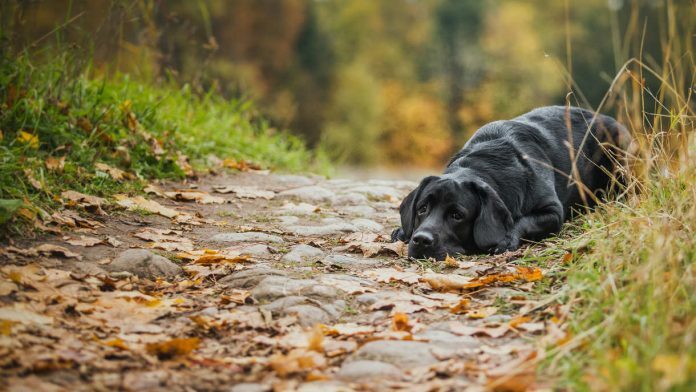 Today we’re going to look at the benefits and disadvantages of punishing dogs, and to ask if training without punishment can ever really work. What is a punishment marker? What are the benefits of punishment? What are the disadvantages of punishment? Why is punishment in dog training declining? Can dogs really be trained without punishment? 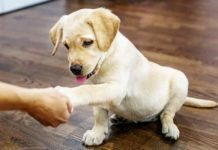 The use and misuse of the word punishment as it applies to dog training lies at the heart of much disagreement between dog trainers and dog owners. So before we talk in any detail about punishment, and the difference between punishment and reward based dog training methods, let’s take a moment to define what we mean by punishment. But it doesn’t really make sense to inflict ‘retribution’ on dogs. After all, it is neither fair nor productive to impose a penalty on someone that is not capable of anticipating the consequences of his actions. Yet it is this ‘social’ or legal definition of punishment that many of us have in mind when we think about dogs and dog training. Another common definition of punishment is cruel or harsh treatment of dogs. This makes talking about punishment very confusing as each of us will have different opinions on what is or is not cruel or harsh. Some will think smacking a dog’s bottom is an act of cruelty. Others will think it a mild and harmless correction. The best definition of punishment for dog training purposes is a behavioural one. After all, dog training is about changing behaviour. And the way dogs behave is governed by the laws of behavioural science. Punishment in behavioural terms is something that diminishes behaviour. That is how we define it. [wp_ad_camp_2]If something you do, makes your dog less likely in the future to do something he previously enjoyed. Then whatever you did, was a punishment for your dog. 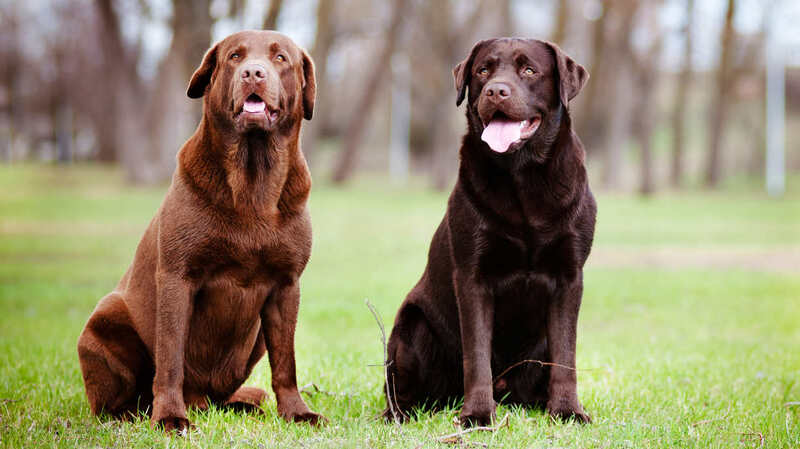 If your Labrador is enjoying a particular activity – climbing on the sofa for example – and you do something to your dog right now, in the present, that decreases the chances of him climbing on the sofa in the future. What you did was a punishment. You are quite right, calling your dog and giving him some cheese wasn’t a punishment, and it won’t (by itself) decrease the chance of your dog climbing on the sofa again. In fact , he might learn to climb on the sofa more often in the hopes that you’ll call him off it and give him some cheese afterwards. There is nothing wrong with calling your dog and giving him some cheese by the way, in fact, for today, it is probably the best strategy. And it can form part of a training plan. But you then need to plan how you are going to prevent your dog climbing on the sofa in the future, either through training or management or a combination of both. In our sofa example, the owner of the dog might scold the dog angrily “Grrr you BAD dog” or even smack him. Or she might squirt him with some water, or shake a rattle bottle at him. As you can see, not all of these examples involve pain or even any kind of physical contact with the dog. They are still potentially forms of punishment. I say potentially, because different dogs react differently to the things people do to them or around them. Returning to the dog snoozing on the sofa, there are plenty of dogs who will be most upset by one or all of these above actions on the part of their owner and best friend. But there are also plenty who will happily sleep through all but the most aggressive onslaught. Which brings us to the next and most important point. It isn’t what I think is mean, or what you think is cruel that counts. You and I have no say in what is a punishment for YOUR dog. Only he can determine that. Because for something to be a punisher, the dog has to find it aversive. In other words it has to be something he fears or dislikes sufficiently for him to work to avoid it. This is a good thing in a way because it puts all the arguments about what constitutes a punishment firmly to bed. Let’s say you are trying to load the dishwasher after supper. Your dog is intent on making sure the plates are thoroughly licked, and you don’t want him to do this. If you smack your dog and he carries on licking those plates, smacking was not a punishment for him. Another example. Let’s say your dog is tormenting your cat, chasing him, poking him etc, and your cat is getting fed up. If you pick up your dog by the scruff of his neck and hold him firmly while saying Grrrr BAD dog and if you then put the dog down and he carries on tormenting your cat. That scruffing was not a punishment for your dog. 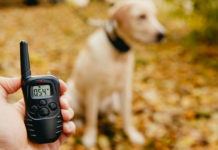 Many people train their dogs to recognise certain sounds as punishment markers. For example, they may say “Ah-ah” to their young dog and if he does not comply or break off what he was doing, they then apply some kind of punishment, be it exclusion, a scolding, or whatever. Dogs that don’t find Tsst aversive in itself, may still work to avoid the sound Tsst if it has become a punishment marker for that dog. People often say that they are ‘correcting’ their dog, not punishing him. I have used this term myself. The word ‘correction’ is actually a euphemism for ‘mild punishment’. It often makes us feel better to think we are ‘correcting’ the dog rather than punishing him. It isn’t a very helpful word if you eventually want to progress to force-free training as it allows us to avoid recognising that we are still using punishment on our dogs. So, punishment in dog training is not about the degree of force involved. Nor is it about the amount of harm involved – harming and harsh treatment are acts of cruelty. Punishment is not necessarily cruel. Though of course it can be. But is punishment helpful to dog trainers? 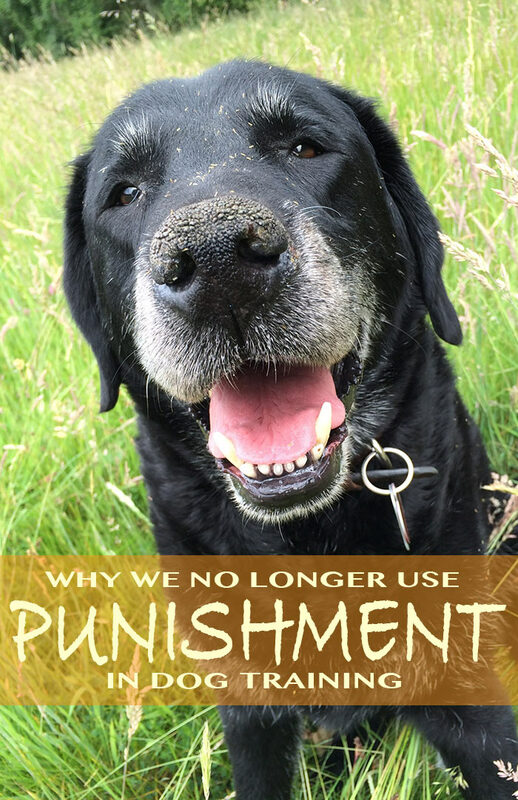 Do we really need to use punishment, even mild punishment, in order to have a well behaved dog? At one time, the answer from me and from most dog trainers worldwide, would have been a resounding yes. 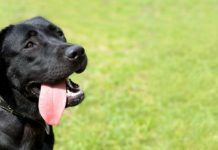 But there has been a massive change in dog training principles and practises over the last few years, and nowadays, many trainers would answer a resounding no. Let’s look at the arguments from both sides. There are benefits to some dog trainers in using punishment in dog training. It is tempting for me to say that there are not, but there are. And we need to address these when deciding how to train our dogs. 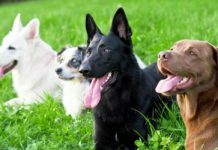 Most professional dog trainers – especially those over forty years old, learned to train dogs using traditional and often quite punitive methods. This then is their comfort zone. They feel at home with what they know, and learning a whole new skill is really quite a big deal for them. For them, the benefit of punishment is that they know how it works, and can get results from it without spending time learning something new. 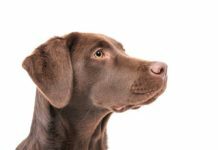 There are some aspects of proofing in dog training that can sometimes be achieved more quickly using traditional methods. Proofing is where we teach dogs to respond to our voice or whistle in a wide variety of different circumstances. The celebrity effect is not a benefit of punitive training, but it is a reason that training with punishment still holds an appeal for many dog owners. It is possible to achieve apparently dramatic training effects in the short term using fear and intimidation. This is because frightened dogs tend to ‘shut down’ and do nothing. This makes brilliant television. In the space of thirty minutes or an hour, you can appear to see a dog whose owner’s problem is ‘fixed’. Viewers don’t see the fall-out from this kind of training. So, if punishment is not necessarily cruel, and if it has some benefits, why is the use of punishment in dog training declining? And why do so many websites, including this one, now advocate reward-based training methods? Some of the disadvantages of punishment have only recently come to light. Others have been recognised for much longer. Social attitudes to punishment have changed significantly in the last twenty years or so, and those who continue to use punishment now face increasing public disapproval. Smacking dogs (and children) was once considered completely normal and acceptable. In the UK at least, if you smack your dog in a public place, you are quite likely to be assaulted by a passing stranger. This change in attitude is accelerating the change in training methods, but it isn’t the sole cause. There are good reasons why dog trainers and behaviourists are on board with modern training. Importantly, we now know that using punishment is associated with a higher incidence of aggression in the dogs themselves. Several studies have shown that dogs trained even with what most of us would consider a very mild form of punishment, are more likely to be aggressive than dogs trained purely with rewards. This is an important consideration for the safety of those living with dogs, and in a world where a dog’s life may depend on his temperament, for the safety of dogs themselves. From your point of view as a dog owner, one of the biggest disadvantages of training with punishment lies in how long it takes to establish new behaviours. Modern training methods are very fast ways to teach a dog to sit, come, lie down, walk next to you and so on. Punitive methods slow down the speed at which your dog learns, in two ways. They make dogs afraid to make decisions for fear of making the wrong choice, and they often involve the use of a process called ‘modelling’ where the dog is manipulated into different positions. Modelling slows learning by creating the wrong association between a command and the muscle movements that accompany it. Not only that, but modern methods are the only way of teaching dogs to do a whole range of fun things that don’t come naturally to them (unloading the washing machine for example) Many of the things we want assistance dogs to do nowadays simply cannot be taught with force. One of the problems with continuing to use some punishment in training, even very mild punishment, is that it becomes a crutch to fall back on. And that makes it harder for us to become skilled at training without punishment. One key disadvantage of punishment, to both you and your dog is that punishment has a natural tendency to escalate. In addition, many dogs are tough characters. A light smack or a tap on the nose that is effective at punishing a six month old dog, may no longer work at nine months. And what works at nine months may fail at twelve. In this way it is possible to get into a horrible spiral of escalating punishment that ultimately ends in abuse and physical harm. Part of the reason for the decline in the use of punishment in dog training is the shift in our attitude to dogs. Nowadays, most of us see dogs as beloved family members. Together with a general social shift away from physical punishment, this means that fewer people want to punish dogs. On balance, the disadvantages of training with punishment greatly outweigh the advantages. [wp_ad_camp_1]Speed of proofing using punishment is balanced against speed of establishing a wide variety of different skills using reward based methods. The time taken to proof behaviours without force may in many cases be completely offset by the fact that force free training can begin at a much younger age and progress much more quickly. At the same time, our knowledge and ability to train without punishment has escalated. We now have role models to follow and mentors to lead us and skilled trainers to teach us. Police dogs, guide dogs, bomb detection dogs, and assistance dogs are all trained using modern positive reinforcement techniques. Dogs trained without force are succeeding in competition in ring and field. The barriers are coming down and force free training is now available to most of us. Can’t we just use mild punishment? But the truth is, they are not different when it comes to the disadvantages of punishment. The studies that found dogs were more aggressive if punished during training, found this applied to all forms of punishment, not just dogs that were smacked. And the slowing down effect on learning also applies to all forms of punishment, not just to cruelty or harsh treatment. Simply correcting a dog mildly for making the wrong choice, makes him less likely to make choices in the future. This freedom to make choices is why force-free training is so fast, in the early stages. Can we train dogs effectively without punishment? Whether or not training without punishment is possible was once hotly debated. But the verdict is now clear. It is entirely possible to take a dog to a very high standard of obedience using modern methods and avoiding the use of punishment. There are now many dogs that have been trained without the use of any force, and many force-free trainers for us to learn from. So if you want to have a go, don’t let anyone tell you otherwise. The benefits of training without punishment go far beyond the welfare of our dogs. Learning to do so is an immensely uplifting and empowering experience. It takes a bit of practice, and for those of us that once trained using traditional methods, it is quite a learning curve. But the rewards are worth it. Punishment in dog training is any consequence you as his trainer apply to your dog’s behaviour and which results in him doing it less. It doesn’t have to be harsh or cruel, it simply has to be something that the dog finds unpleasant and will work to avoid. For most of us, and for most dogs, the disadvantages of training with punishment outweigh the benefits. The dog training world is now moving away from the use of punishment, and many dogs nowadays, including many of our amazing service dogs, are trained without the use of aversives. Check out our training pages to find out more about training without punishment and don’t forget to join our forum for help and support from others who are training this way too. And don’t forget to let us know what you think about punishing dogs! It must be upsetting when people misunderstand the things you write and then feel the need to comment negatively without actually reading the full article. You do well to stay calm and I’m sure that your patience with dogs helps here too. You do a very good job and I for one am very greatful that you share so much of your knowledge like this… it is hugely apreciated. We have an 8 month old Lab and although very well behaved (most of the time!). The recent introduction to clicker training (just Yesterday) is so good for both of us… she is loving the attention and you can see the change in pace to her learning. Good luck and I really look forward to reading your books. I would like to have humans punished, because there behavior is horrible, cruel, stupid. A kind training is always be the best. What does that mean punish, how about, punishing your children, they are rude, bad mannerd, why dont you start there. Nice article. Where my puppies train they use ah-ah and “red light” as a signal when puppies are out of hand. When they comply they are rewarded. At 10 mos. old they don’t need the reward that often to settle down and comply. Simply using the phrase often works. However, I still find that a firm “No” is sometimes required. Of course we don’t hit them or crate them for punishment, but when I am chasing them around the house trying to get the remote or cell phone away, I am not always calm and collected. I do try to reward them for “leave it” when this is successful, but its not always. It feels a little like having toddlers again, and although I never hit my toddlers either, I didn’t constantly reward them for stopping bad behavior. I am all for less punitive training, but its can be a bit confusing. The use of the term “punishment” is a loaded one in this context. In operant conditioning, you can have either positive or negative rewards. Both can affect behavior. There can be debate about the appropriate use of one or the other. Personally, I favor the positive reward and that is what we are using with our puppy. But I also believe, for a variety of reasons, that there is a place for negative rewards – albeit mild ones- to correct some behaviors. I think this might be a more objective and dispassionate discussion if we moved away from the emotion laden term “punishment” and talked about negative rewards. In operant conditioning you can certainly have negative and positive. This applies to both reinforcements (rewards) and to punishment. There is information here about negative reinforcement Steve, but I don’t think that is what you mean. Negative reinforcement is rarely used in the UK and not widely used for pet dog training anywhere. I think you are simply referring to positive punishment. But in a mild way. 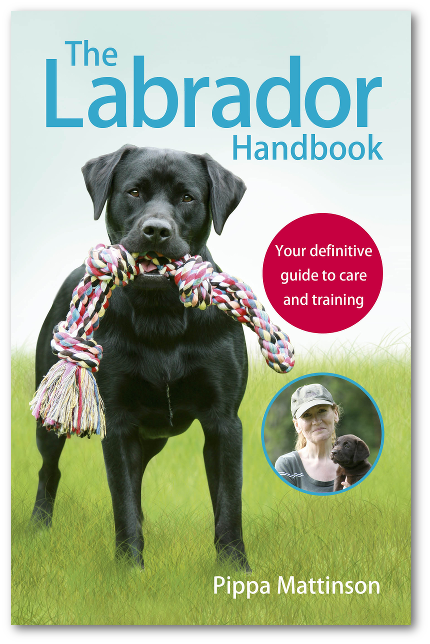 Surely the object of this article is to encourage each person, to find something that discourages unwanted behaviour and something that encourages desired behaviourt and works for the specific dog . I hate continuous use of treats for training, it is very easy for a dog to behave badly because it feels it will get a treat or even, more attention, please, please read Pippa’s book on the subject, the hierarchy of treats is fascinating! Hi, I have an 8 month old lab and she will not learn to not pee in the house. I take her out 5 times a day and still pee as soon as she comes back. I tried crate training, potty pads, Trixie drops, even smacking her unfortunately. I am really to the point of putting her up for adoption as it creates problem in my family. Amed, do you really think you can train a dog, so many think that, why do you think there are professional dog trainer, take her to dog training classes, that will help and there are other training. The Dog trainer should be able to advise you properly, not the once who give you there card on the beach. Go to a pet store. But dont try to train your dog without proper, professional training. Good luck,. I have a 11 weeks old lab pupy and always she attacks my ankel or pants whenever i said no or dont play with her. I tried ignoring, keep her to calm down, put in silent area to settel but she continues her attitude. She bites very hard and i tried every thing that you wrote here and your boid. Could you help me what should i do? HOw about taking your dog to dog training, you, without a professionel training can not train a dog, even if you think so. The article is not about “how to punish a dog” and is not titled “how to punish a dog” Surell. The article explains why punishment is a bad idea! Perhaps you should read before commenting Surell…… ARE YOU STUPID? ?